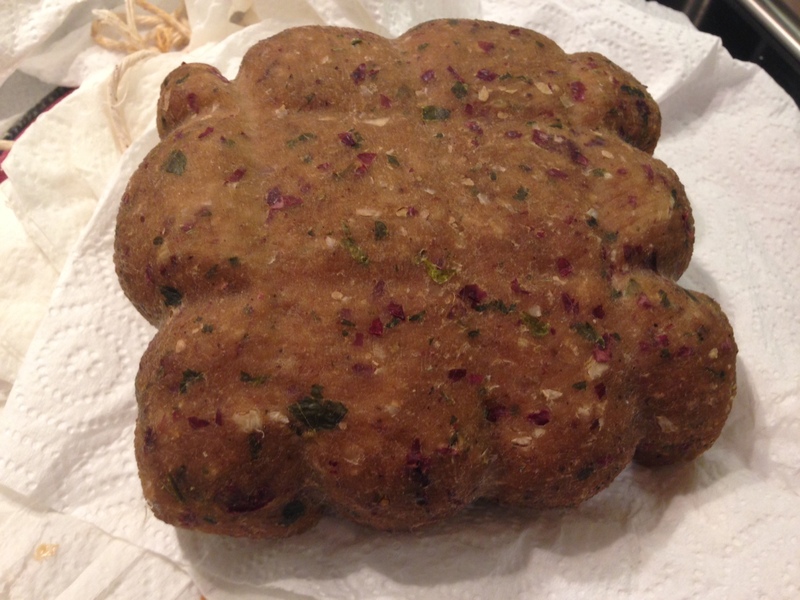 I’ve been wanting to make my own seitan for a while now, but from what I’d read online, I was worried it would be time consuming. I actually really like store bough seitan, which is a wheat based protein, but have found myself dissatisfied with limited flavor choices available. That’s why homemade seitan seemed appealing, because I could flavor it however I wanted. I finally dedicated this past Sunday to conquer making my own seitan, and yes, I did spend most of the day in the kitchen. The seitan itself takes a good 2 hours, but then you have to make another dish featuring the seitan. I’m in full Hanukkah preparation mode, so I went on to use mine in a vegan brisket with roasted vegetables and gravy. I used a few ingredients in my seitan that gave it a more beefy flavor, but you don’t necessarily have to use this recipe for a brisket. It’s super flavorful, meaty, and you could totally use in a sandwich, or stir chunks into almost any pasta dish. 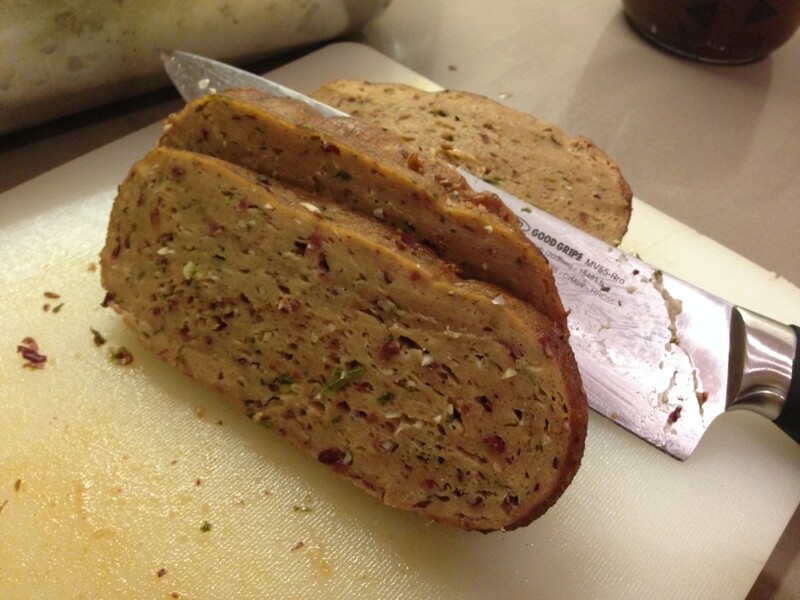 There are many different ways to prepare seitan that give you different results. Since I’m mimicking a meaty dish that’s roasted for hours I wanted to impart as many flavors as possible into the seitan, I boiled mine in a flavored stock. Shout out to Vegan Foodie Mama for the inspiration. 1. 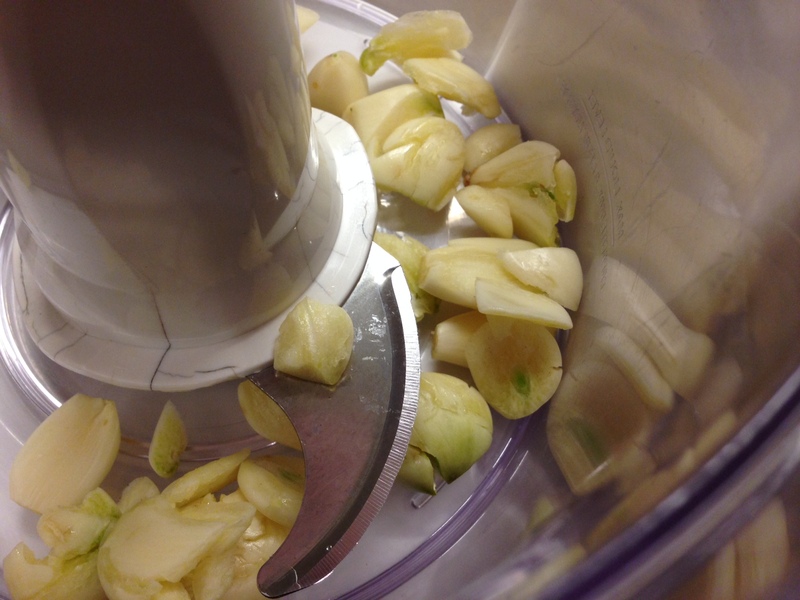 Mince garlic in food processor. 2. 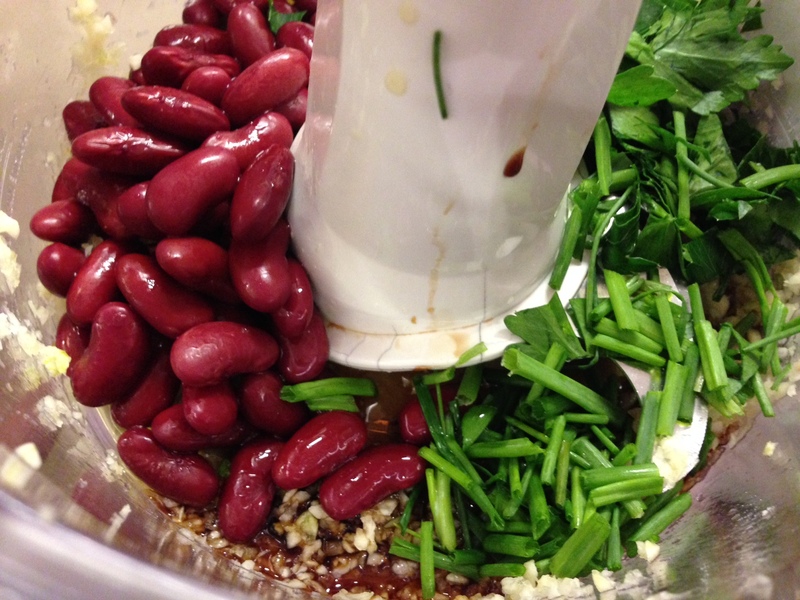 Add beans, olive oil, soy sauce, chives, parsley, and 1/2 tsp liquid smoke. Process until you have a pesto like consistency, which will require occasionally having to stop and scrape down the sides. 3. 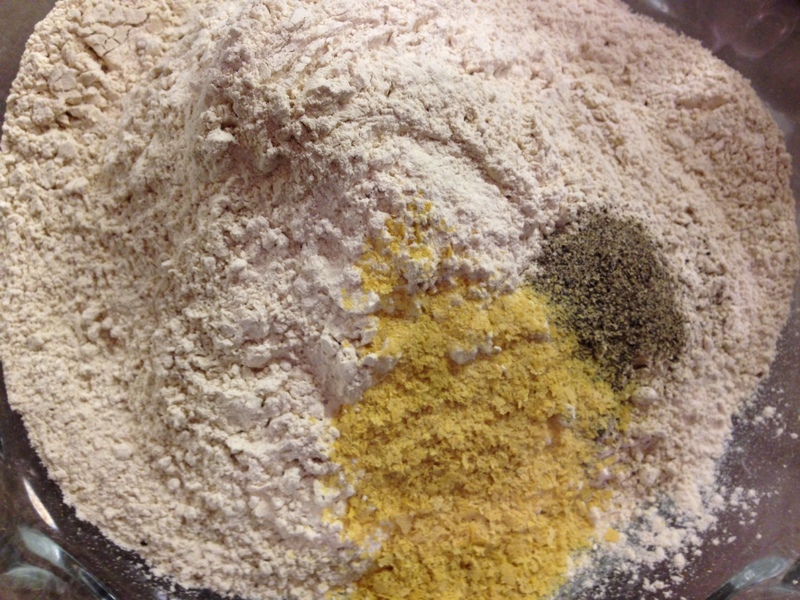 In a separate bowl combine onion powder, black pepper, nutritional yeast, and vital wheat gluten. 4. 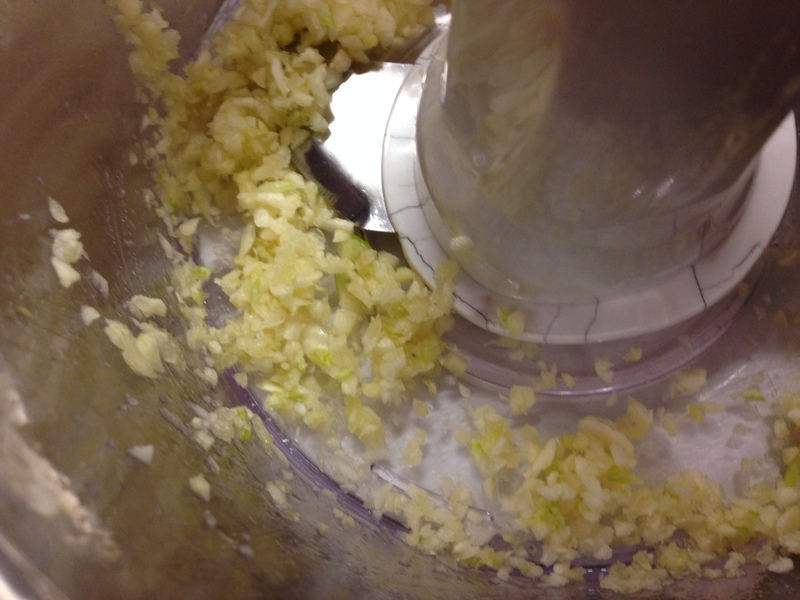 Add bean mixture from food processor and about 1 1/2 to 2 c of vegetable stock. 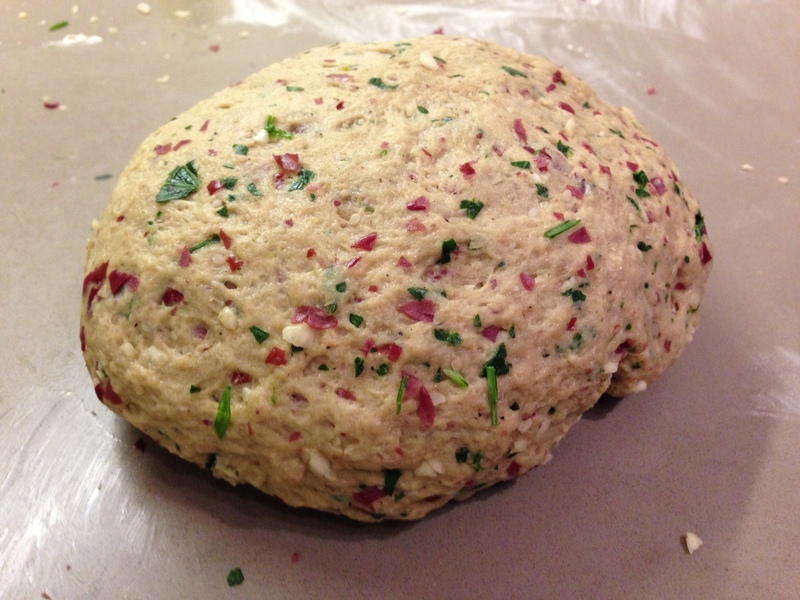 Mix, then knead until the seitan dough firm yet elastic, about 4 minutes. 5. 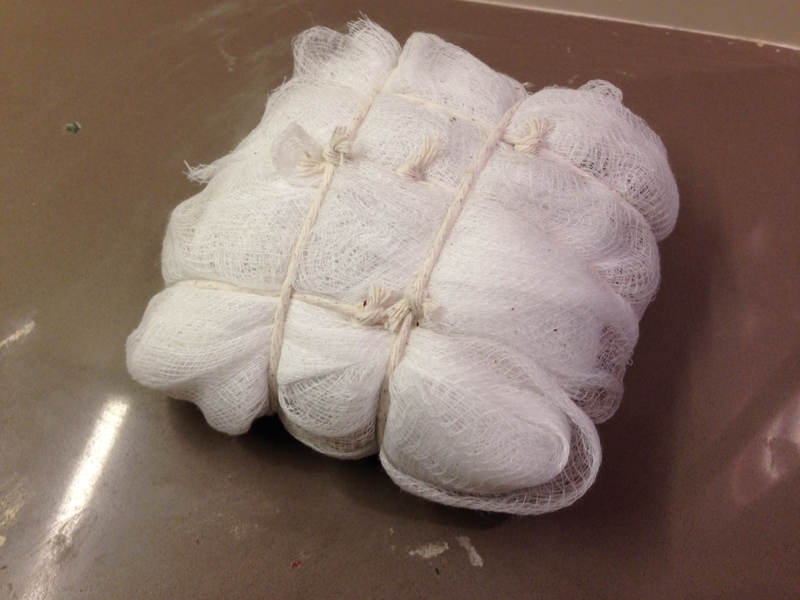 Form into your desired shape, then wrap with cheese cloth and tie with cooking string. 6. 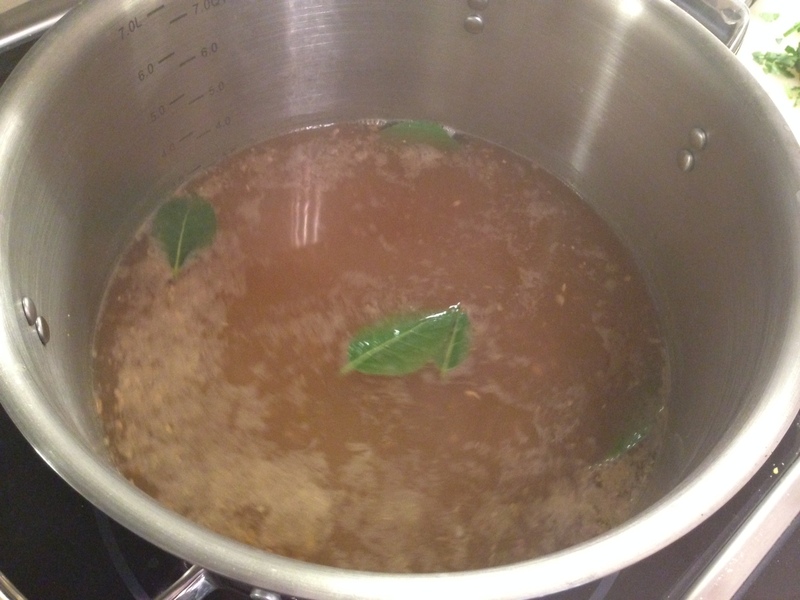 In a large pot, combine remaining stock, water, soy bean paste, 1/2 tsp liquid smoke, white pepper and bay leaves. 7. 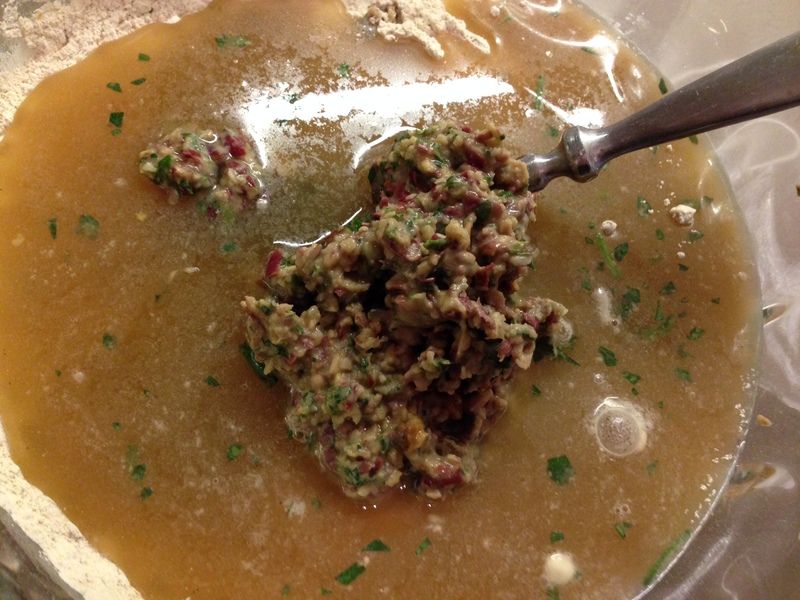 Bring to a boil, then turn heat down to medium low and add seitan. Simmer for about 45 minutes, then flip the seitan and simmer for another 30 minutes. 8. Remove seitan and pat dry. Let sit at room temperature for 90 minutes wrapped in paper towels, then another hour in the refrigerator. 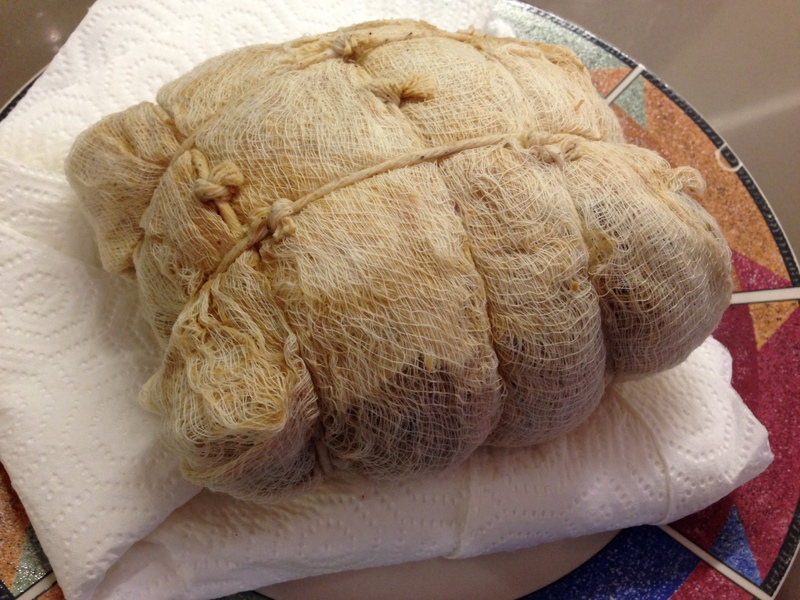 You can then cover the seitan with saran wrap and store in the fridge for up to 4 days. I am not vegan, but 90% vegetarian. I sometimes buy seitan in the stores and it seems to be a bit rubbery to me. THis looks excellent, but I would rather avoid the rubberiness (probably from the gluten). I am wondering if you think the rubberiness could be reduced by whipping up an egg (separated, I suppose) and adding it in at some point. I am guessing the kneading would kill any incorporated air though. Any ideas? I’m not sure about the addition of eggs. I find that preparing the seitan in this method (adding beans and herbs), then boiling and searing the meat leads to a really good texture that’s not too rubbery. So I made this yesterday. Maybe I mis-measured, but it seemed like it should have had less liquid and less soy sauce. Still after I fried it up, it tasted quite like breakfast sausage. Need to cut it pretty thin though and not rubbery at all. I don’t think the egg is necessary. Thanx for the recipe. I LOVE this recipe! I made BBQ seitan “ribs” with it two weeks ago. Such a good flavor. I’m trying the “brisket” recipe tonight w/ onions, potatoes and haricot vert. Can’t wait! Does anyone know if this would freeze well? I’d like to try to make a “batch”. zac, seitan in general freezes beautifully, and this recipe looks like it would present no problems. Wrap it well and defrost on the counter, not in the microwave. 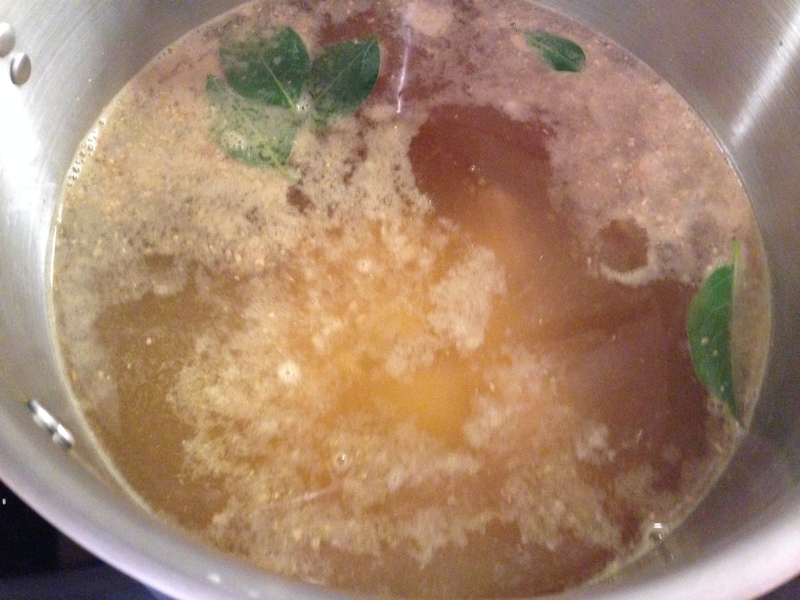 Made this today but it seemed loose when I removed from cheese cloth so I put back in broth for another thirty minutes. It still seemed loose so I wrapped in foil and baked it for half hour at 350. Flavor and texture are fine now. Was yours also loose at first? Did the 90 minutes at room temp firm it? Oh yes, sitting at room temperature helps the seitan dry out quite a bit. As will additional time in the refrigerator. It’ll lose about a third or half of the volume.